On the road, we often spent a large part of our day figuring out where we’d stay each night. Sometimes it was stressful – if a planned campground didn’t work out, we’d need to start our search over at the beginning. We learned that it was helpful to always have a backup plan – and to have a backup plan for your backup plan. We prefer to camp in public campgrounds: National Parks or Forests, State Parks, and County/Regional Parks. These places are usually less expensive than private campgrounds, offer more privacy, and mean camping near some sort of wonderful natural feature. We tend to avoid private RV Parks, which cater to RVs and families instead of tent campers, though these places are a nice reprieve when you are in desperate need of a shower. The problem is that there isn’t one thorough, accurate source of campground information out there. We often needed to sort through multiple sources to find a good place to stay for the night. We’d start our campground search with Google Maps, searching for “camping” in the area where we were planning to stop for the night. The search tag “camping” seems to return better search results than searches for “campgrounds.” Google Maps is good for discovering which direction you should head, not for details about a campground, so you’ll often need to turn to other sources to verify the information you find on Google. Another good resource is the L.L. 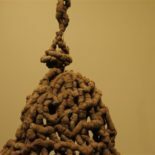 Bean ParkFinder tool. This map-based search displays parks that meet your desired criteria. Winter Camping used to be a filter option, but it is no longer featured after the latest update, which is too bad. You can still see when campgrounds are open, but you now need to go into each park’s page to find this information. Most National and State Parks use the same service, Reserve America, to manage their campgrounds. We don’t advocate making reservations through Reserve America unless you need to camp at a popular campground during a busy weekend or during local school breaks. Reserve America charges a reservation fee that adds $5 to $8 to your camping bill (beware of the cancellation fee as well). The campgrounds are almost never full, and if they are, you will almost never be in an area where you can’t find another camping option in a pinch. But if you do need to be in a certain place at a busy time, it’s worth it to pay the fee. 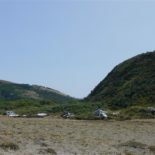 For example, we used Reserve America to secure a spot in a State Park near New Orleans, and when we arrived to check in, found that the campground was otherwise completely full. 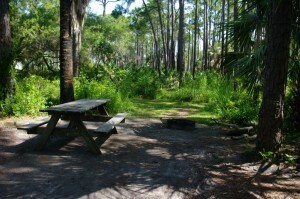 And whenever we return to St. Joseph Peninsula State Park in Florida, you can be sure that we’ll book our favorite campsite on Reserve America. It’s a good idea to bring a few campground books with you to use when you’re out of internet range. The Rand McNally Road Atlas is like a paper Google Maps, useful for pointing you in the right direction to find campgrounds. It includes campground icons, but no other information, so you’ll need to find the relevant details online…or roll the dice. We often relied on the Guide to Free Campgrounds by Don Wright . Campgrounds in this publication aren’t always free – but they’re typically less than $15/night. 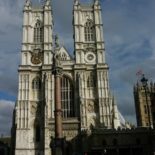 The book has its issues – the indexing system is hard to use and the information can be woefully outdated or incomplete, but it’s better than nothing. A newer version has been released, but we haven’t ordered it yet, so we’re not sure if the previous issues have been fixed. Regular guidebooks are useful for National Parks or State-by-State information. Fodor’s guides have a handy chart in the back that summarizes key campground information in an easy to read format. Using these charts, you can quickly find out which campgrounds are open in an area, which require reservations, how many sites are available, and where there are amenities like showers. We had a Fodor’s Complete Guide to The National Parks of the West along that was quite helpful. Woodall’s guides are targeted to the RV crowd. If you have an RV or you like to camp in RV parks, these are the books for you. 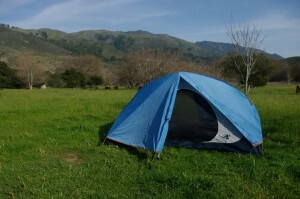 If you like to tent camp, skip these guides. Trial and error, other campers’ suggestions, roadside signs, pamphlets…we didn’t rule anything out. 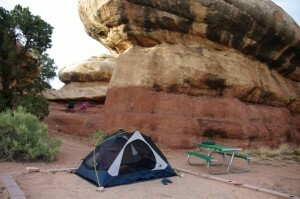 Now that you’ve found a campground or two in an area, how do you find the best site? If you’re traveling in the cold months, you’ll soon learn the importance of elevation. 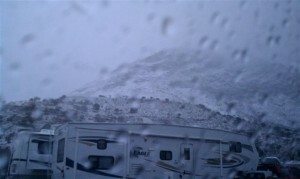 A campground’s elevation can mean the difference between getting snowed on at night or just getting rained on. The temperature generally changes by about 5 degrees per 1,000 feet in elevation. When we were camping in southern California in January, we avoided the National Forests that cover most of the mountain ranges, preferring the less picturesque but warmer parks on the valley floors. Most mornings we’d wake and see fresh snow on the mountaintops. When we arrived in an area with multiple campgrounds, we’d check out each of the campgrounds to see if one was better than another. 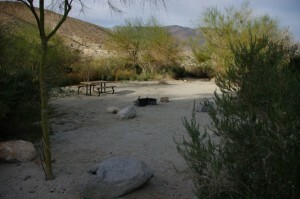 When we were in southern California’s Anza-Borrego State Park, we weren’t impressed with the camping options. The campgrounds had undesignated sites, very smelly pit toilets, and a high cost of $15 a night. We spotted Agua Caliente County Park on the map, nestled within the State Park and just a few more miles down the road, and decided to check it out. For $19 a night, we got three hot spring pools, showers, flush toilets, and some of the best camping of our trip. Need a shower? You’re more likely to find one at a State or a County Park. National Forest campgrounds are the most primitive, with pit toilets the typical amenity. Most National Parks don’t offer much more. 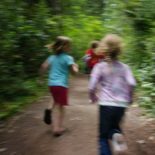 State and County Parks have the best amenities of the public parks. If there aren’t any State Parks in the area and you need a good bath, head for a private campground. Private campgrounds always have showers, laundry, etc. You can check out your potential neighbors, but you can’t keep moving if a car with ten kids shows up next to you. You can make sure you don’t camp on an ant hill, but you’re not going to avoid all of the ants. Don’t stress out over finding the perfect site. Perfect sites are overrated. 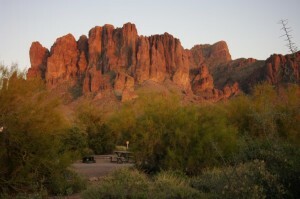 A special camping consideration is the popular first-come, first-served campground. In these places, people tend to lose all sense of decency and restraint. 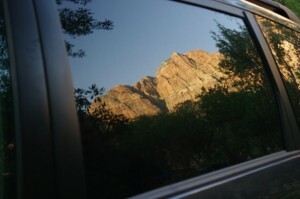 When we were in Zion National Park in March, we wanted to camp in the South Campground. It is first-come, first-served and was already full when we arrived. We retreated to a private campground in the gateway town of Springdale, Utah, and tried South Campground again early the next day. Luckily, we got a spot and decided to hang out for a few days, which allowed us to observe a lot of terrible behavior. Every morning, beginning at 7:30am, a tense atmosphere would descend as newcomers arrived in the campground and began circling for spots. It was a barely contained, politely contentions, anxious fight to find a place to lay a tent for the night. For the next hour and a half, new arrivals would stalk those who lingered over their breakfast. Checkout time was 11am, but it didn’t matter. The fight was all over by 9am. The newcomers then staked out their turf and defended their sites against late arrivals. The guide books recommend you show up by noon, but by noon all open spots have long since been occupied. This isn’t limited to Zion: we observed similar behavior in other National Parks with first-come, first-served sites, like Glacier and Yosemite. Only look for open, empty, vacant sites. If you see someone packing up, don’t stop in the road, block traffic, and wait for the site to open up. Don’t ask anyone if they’re leaving. They have the right to hang out until checkout time if they want. Don’t rush them along. This could be the last day of their vacation…let them enjoy it. Take the first spot you find. This is like a game of musical chairs. When the music stops, you don’t want to be left without a spot because you were looking for the perfect site. The perfect site doesn’t exist. Take the first spot you find and learn to love it. If there’s a tag on the post, don’t even think about removing it and replacing it with your tag. This is terrible campground karma. When you leave your site, make sure it’s very clear that it’s occupied. Don’t just trust the tag – pitch your tent, leave your camp chairs, stake out your picnic cloth. You probably don’t need to bother with the home-made “campground occupied” signs, though. If you don’t get a spot, don’t get upset. Ask the host for suggestions. And try again tomorrow.